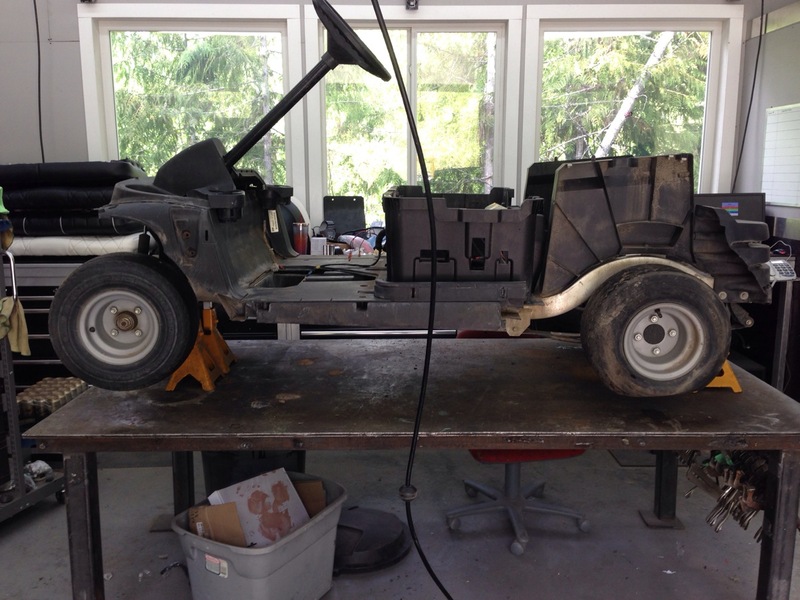 We had a customer contact us wanting to go from his current gas E-Z-GO to an electric machine. 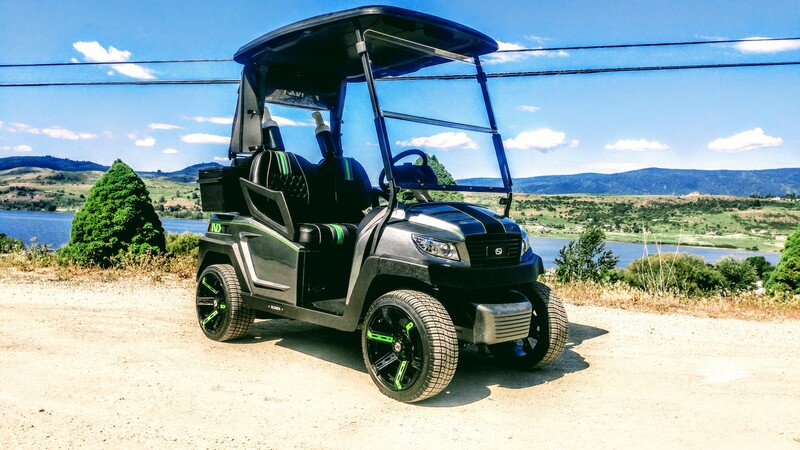 Of course all of our customs are Club Car Precedents, after a couple emails back and forth or soon to be new customer, was ready to place his order… but he had one more request. 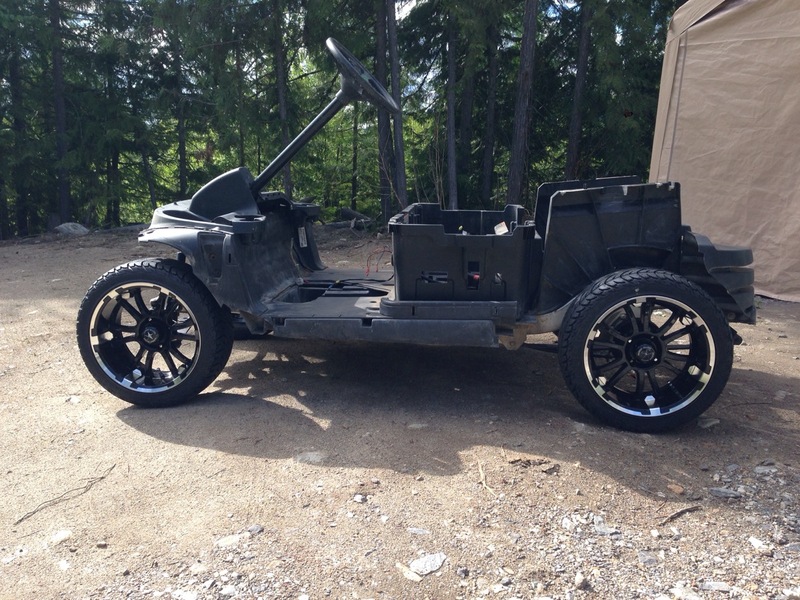 It has to have 14″ wheels and not have a 3″ lift kit on it! 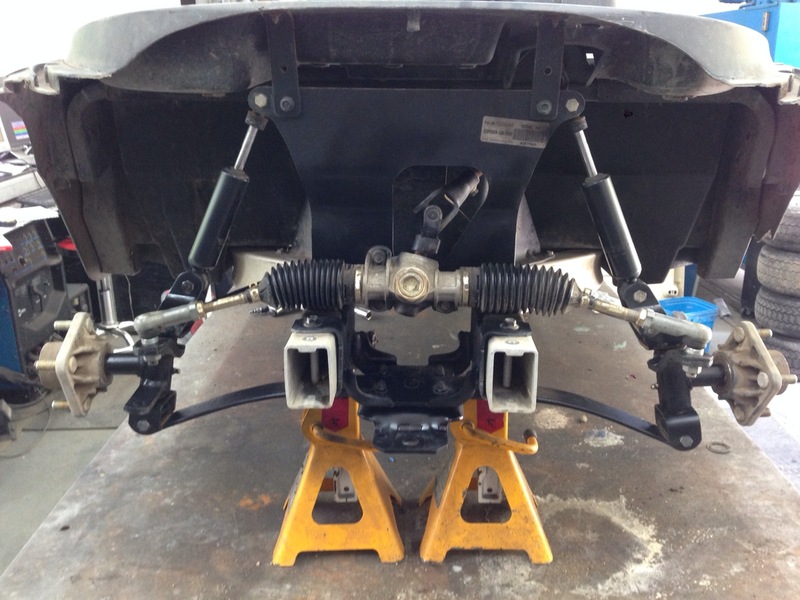 If you know about the Precedent, the wheel wells are quite small and 14″ wheels don’t fit. After a bit of thought and excitement for the project, we told our new customer we would make it work! Check it out, it’s going to be one serious build! Like all good SC Carts, this one starts on the table! 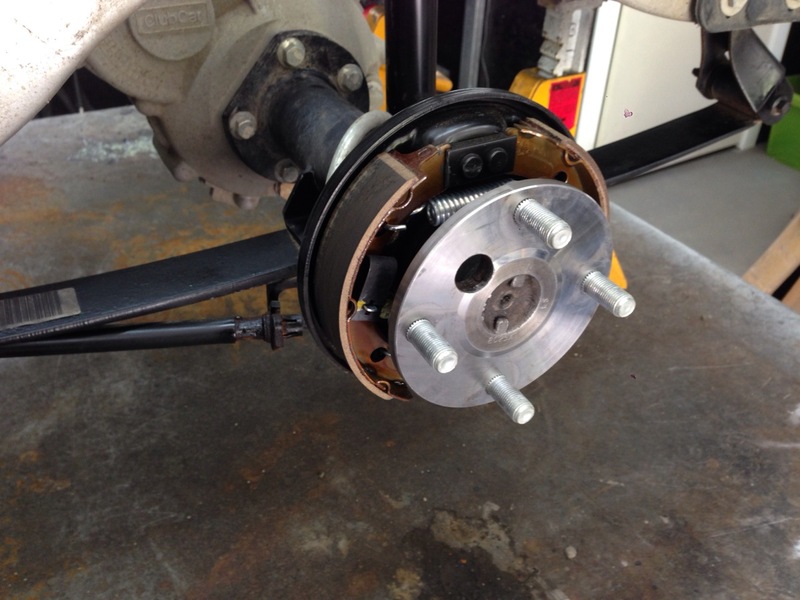 A close up view of the cleaned and inspected brakes. Brake drum all painted and ready for the big wheel package. The Precedent front end after a good inspection and detailing. It is good as new! How awesome does this look! 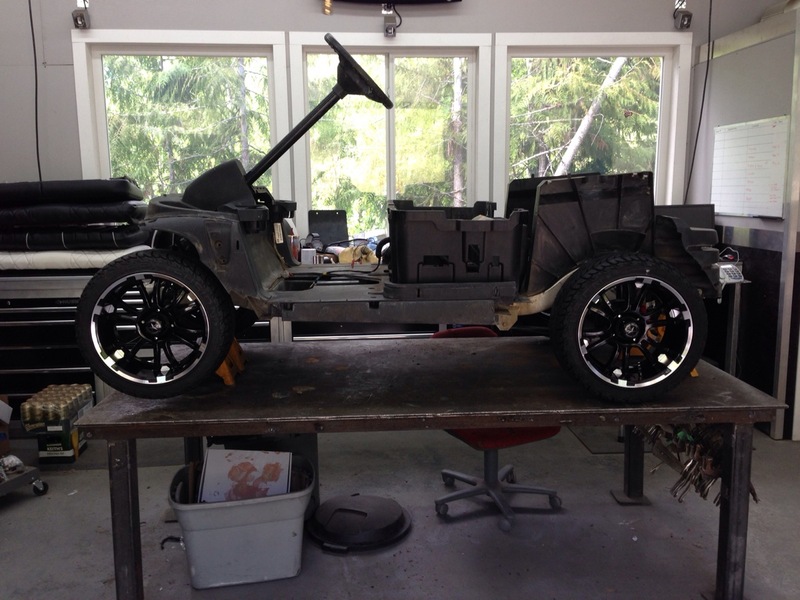 We have 14″ wheels on a stock Precedent. This is going to be one mean cart. Check out how cool this machine looks. Installing the 14″ wheel and tire package was the easy part, and we wish it were that simple but it isn’t. 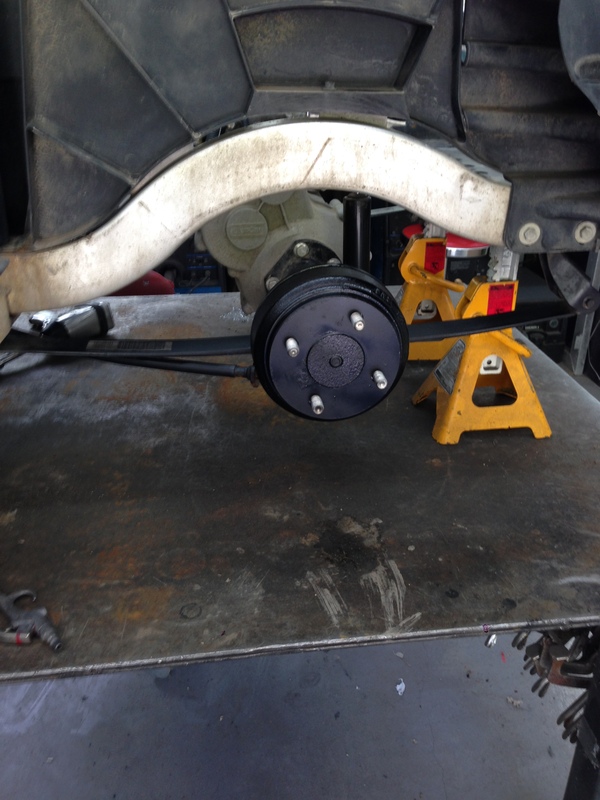 There are several mods that need to be done to get the proper clearance with the underbodies installed. For now we will just enjoy how cool it looks. 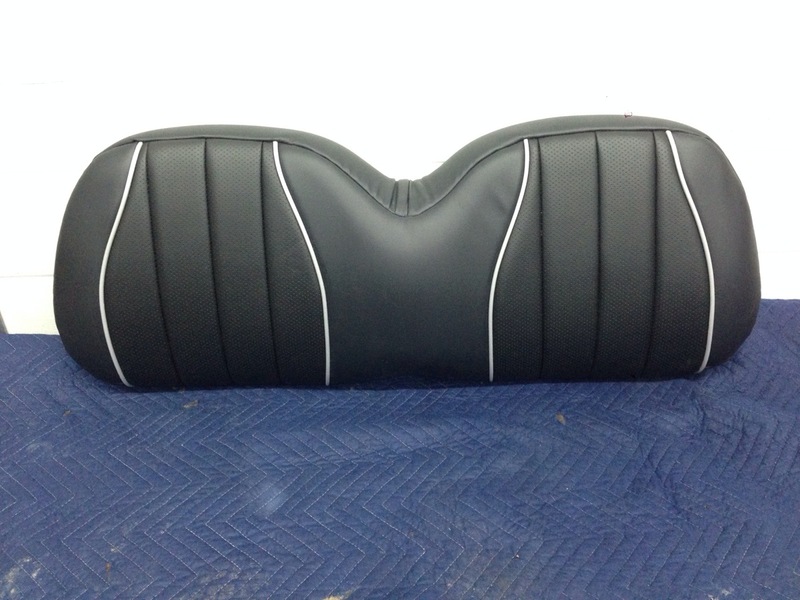 We end this week with some cool upholstery. Our customer wanted something different then our usual sport stitch or diamond pattern. Good thing we have talented people working with us. We went way back to the old hot rod tuck and roll technique. This upholstery is going to look amazing on this super custom Precedent. Also notice the perforated insert and aluminum piping! Don’t go far, because we will be back next Tuesday and you won’t want to miss any of the action we have going on right now!! !